caterpillars I’d tossed their way. varieties should we be focusing on? favorite offering. I gave this species a D for silkworms. than I thought the variety would do from what I’ve recently learned about its history. surprise grand-prize winner — a random rootstock mulberry! up was clearly not the named variety. Our mulberry source reports this is Morus alba variety Tatarica, and I’m now considering letting these trees grow for the silkworms rather than grafting a more tasty variety on top. 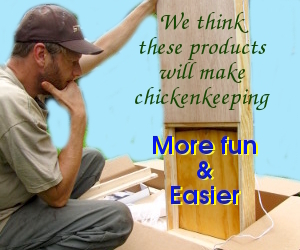 drudgery out of care of your backyard flock. Very interesting experiment, thanks for doing that. I might buy a few Alba seedlings (non grafted), since they are very cheap, and have the possible option of grafting onto them later. I think you asked in a earlier post about amount of leaves required for silkworms. Not sure how true that is, but my initial reaction is that is a fair amount of work to do for 100 chicken feeder worms (I am lazy though). Anyway the mulberry leaves and fruit will still be excellent for animal feed in themselves, if the silkworms ever become too much work. Jeff — I agree that the amount of work is high compared to the reward — I suspect that’s why most people don’t do silkworms on a small scale. On the other hand, once the system is running, I suspect the work time would only come down to 5 or 10 minutes per day with up to a thousand silkworms. That’s assuming your trees are right on your doorstep (or right beside the vegetable garden, where you’re going anyway for lunch and dinner veggies). At that point, the economies of scale start looking better. Yes, once you have system working and the knowledge to keep it going, it shouldn’t take much time. I guess if you are interested in raising silkworms (as I am) it wouldn’t be an onerous task. I find the whole topic of farming insects for livestock food fascinating. I have just purchased a Mulberry tree and found some mature trees in my neighbourhood, so hopefully I can dabble in it one day. Thinking of growing worms on trees, have you considered catalpa worms? Eric — That’s a great idea! The only thing I know about catalpa worms is that they are, I believe, what defoliated my father’s tree in South Carolina. That’s definitely something to research, and might explain why catalpas are a common yard tree in farm areas around here.